Forget the hassle of traditional keys, and embrace the convenience of keyless entry for your home or business. Keyless Entry: When you don’t want to fumble with a key chain, don’t want to worry about getting duplicates or fear the occasional lost or misplaced key, keyless entry is is the way to go. Forget the hassle and embrace the convenience of this option for your home, car or business. Keypad Locks: When you would rather a code than key, we have what it takes to get you up and running with keypad locks. Just push in the code and you’re good to go. Plus, it’s easy to share with others. Biometric Locks: It’s not just science-fiction anymore! We can build locks to suit your personal and professional needs. Fingerprints can offer you quick access without the hassle of traditional keys. Electric Locks: No need to worry about the old-fashioned key anymore. We can get you, your family, your employees or your patrons in zippity quick. Smartphone-Controlled Locks: With the touch of your fingers, you can control your opening and closing needs through this excellent and flexible technology. High-Tech Locks: Whatever you require, we can handle all of your high-tech keyless entry needs with modern technology. Plus, we are on hand for both installations and repairs in Killeen TX and surrounding areas. Remember, our mobile locksmiths are expert technicians, and our company has 5+ years experience. Yes, we have a day-in and day-out focus on just what you need for install and repair for your commercial or personal keyless entry system needs. Our up front pricing, fast and friendly, 24/7 lockmith service by licensed, bonded, and insured technicians assures that Killeen Locksmith Pros will provide you with complete locksmith service for your keyless entry needs done right and done fast with our 30 minute response time. So Killeen TX, call us! Honesty, dependability, and good service are what we provide for our customers. Quick, dedicated, and professional care for all of your commercial and residential lock related needs, is what we offer, and the future of entry without keys is here! We can help you embrace it and implement it and we care about your safety and your time. We providing high quality service so you can feel secure knowing that your home and business will be protected, and have ease of entry and exit without hassle. Since our technicians are licensed bonded and insured, you can rest easy knowing that our company is here for your 24/7 locksmith service and 24/7 keyless entry needs in no time for Killeen TX and surrounding areas. That’s what we offer, and what you can expect! Whether you need an installation or a repair, a replacement or just some information from the experts, you can count on our team to be there for you and to see your project through to completion with honesty, dedication, and good old-fashioned dependable service. Never hesitate to pick up the phone or jump on e-mail and ask us a question or schedule a service call. We will be there for you, your family, and your business any time, around the clock, for all your lock and safety needs. You can count on our good name. Killeen Locksmith Pros are the ones you want to call for all of your keyless entry needs. 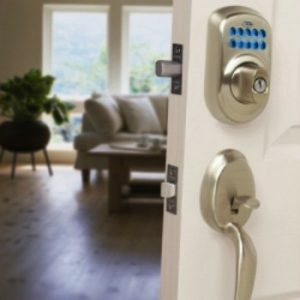 Whether commercial or residential, our fast and friendly 24/7 locksmith service can install and repair anything from keypad locks to biometric locks, electronic locks to smartphone-controlled locks, and we are also experts at high tech locks. Plus, our complete locksmith service reaches Killeen TX and surrounding areas, and comes with up front pricing for your peace of mind. Finally, our mobile locksmiths are expert technicians who are licensed, bonded and insured. They have a 30 minute or less response time, our company comes with 5+ years experience, and you can trust that we will use our know-how to do your job well. So, if you are in Killeen TX or the surrounding areas, call us! We’re honest, dependable and we can help meet your needs. Keyless Entry http://killeentxlocksmith.com/lock-services/keyless-entry/ 3.7/5 based upon 12 reviews.